I have a c14 and wanna use Mark V binoviewer. 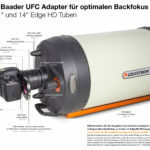 If I use NexStar Locking Ring 2" and UFC S70/2" Telescope adapter, UFC Base, and UFC T2 camera adapter, T2 stardiagonal prism and Mark V, Is it good to use vinoviewing?? and if use above system, diagonal can rotate?? This should work as long as you use high quality 2" filters. 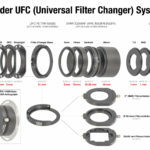 The problem is that many filters are designed to be used close to eyepiece - the farther away they are from the eyepiece, the more disturbing will be all imperfections of the filter, like a non-even surface. 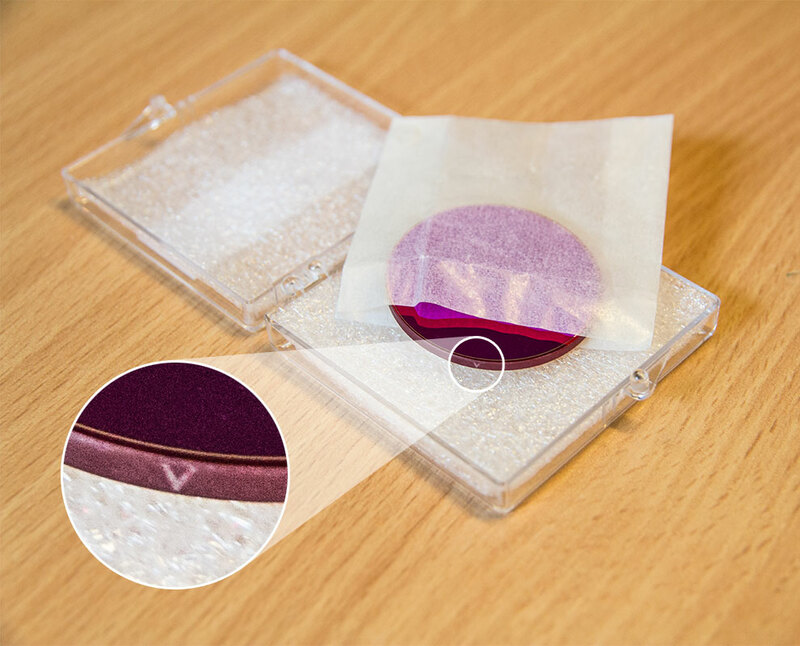 With high-end filters, it should work even with the addidtional 11 cm light-path of a binoviewer. To rotate the star-diagonal, you need an additional T-2 quick-changer in front of the star diagonal. Then, you can rotate the diagonal and the binoviewer; the filter holder will stay fixed. Otherwise, you'd have to unlock/lock the Neckstar Locking Ring each time when you want to rotate the whole setup. I would like to connect to a ZWO ASI071 camera which has a M42*0.75 connection. I believe a T2 thread is M42*1.0. so I am guessing that I cannot use the Baader UFC T-2 with my camera. I do not see any M42 camera connectors listed. What are my options? The definition of the T-2 thread is in fact M42 x 0,75. The tread M42 x 1 has gone almost "extinct" and is not used anymore - at least by our adapters. The UFC T-2 adapter should perfectly fit your camera.